It’s a new week, a new dawn, and new technology for the Bungoma LitClub! Even though the girls had an inkling that something was coming, it was still a wonderful surprise to receive a package that will connect them to the entire world! The excitement was written all over their faces. Each girl could not wait for her turn to feel, click and visit our LitClub blog for the first time! 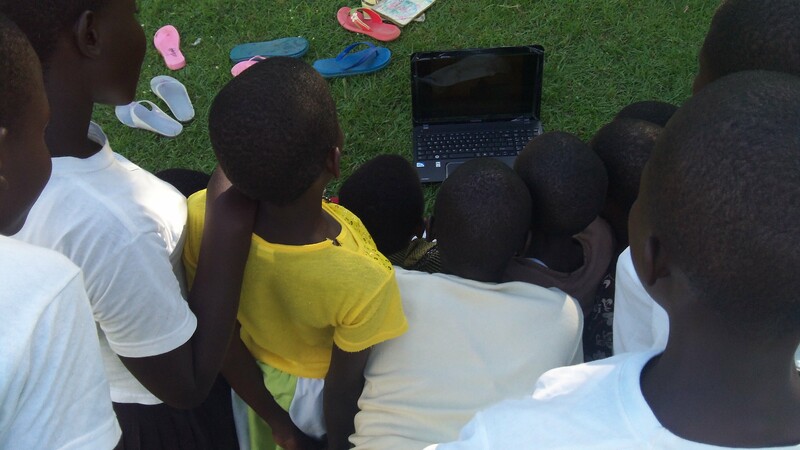 As it was the first time the girls had access to a computer, they had no idea what to do. It was amazing to watch their eyes go agape, their stares, admiration, and enthusiasm. They all had mixed reactions to the experience, but agreed - it’s like a dream! The girls are looking forward, eager to connect.